The East and North Explorer takes you to the Tohoku region and to Japan’s northern-most island, Hokkaido. The northern area of Japan is full of hidden scenic spots awaiting your discovery. 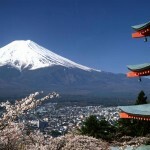 Escape the city to Japan’s true countryside – full of stunning natural scenery and unspoiled Japanese farming landscapes. The north of Japan is one of the best places to enjoy one of Japan’s best features – its four distinct seasons and the masterpiece of nature it creates. Slow down. Explore your new favourite areas at a leisurely pace. The tranquility of northern Japan is waiting for you. *These packages are self-guided, so you can start whenever you like and you can add or reduce days as desired. 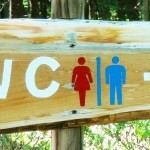 We can re-arrange the plan to create a unique package for your individual needs! 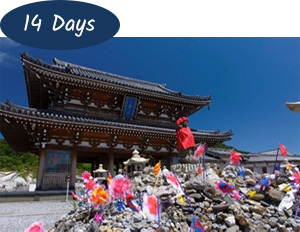 This package provides an introduction to Tohoku, the north part of Japan, including a trip to the UNESCO World Heritage site, Nikko. The lavishly decorated shrines and the unison of nature with man-made structures will have you captivated. Discover the historical samurai culture instilled in Sendai and Kakunodate. Experience one of Japan’s 3 most beautiful views in Matsushima and enjoy a relaxing cruise in the bay. The relaxed cities, historic towns and the beauty of nature in Tohoku provides a new perspective of Japan. Find your new favourite place in Tohoku. Discover the charms of Tohoku – the sprit of samurai, magnificent temples co-existing with nature and unique local culture and food. Tohoku is famous for its rice, its sake and its whisky. Visit the Nikka whisky distillery to learn about the craft and enjoy the idyllic surrounds. Tohoku’s pristine nature is on display at Oirase gorge where you can stroll along the river as it winds it’s way from Lake Towada into the forest. Bask in the beauty of Hirosaki, especially in cherry blossom season, and marvel at the stunning gorges of Ichinoseki. Leave the city behind as you slowly move further and further north seeing all the beauty that Tohoku and Hokkaido has to offer. Explore the unique local cultures, foods, history and breathtaking nature in Tohoku before your journey reaches the northern-most island, Hokkaido. The train ride takes you through the astonishing Seikan Tunnel – 53km long, with 23km lying under the seabed. You’ll be amazed by Hakodate’s enchanting night view and the volcanic Mt Usu. Unwind as you enjoy the onsen hot springs in Noboribetsu. 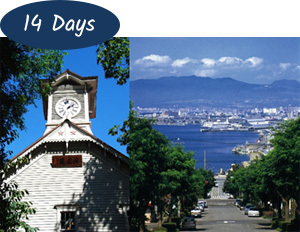 Sapporo city has many places to discover and a day trip to the lovely canal city of Otaru will captivate you! After enduring a long, rugged winter, spring has come to Tohoku. The contrast between the spectacular seasonal nature and the historical buildings and cultures in Tohoku are just fascinating. The tour starts in the samurai village of Aizu. Visit the impressive Tsuruga Castle, spectacular in all seasons. 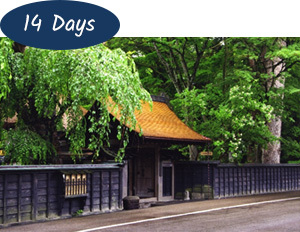 See the residence of the highest ranked samurai in the district and take a day trip to the fully restored post town of Ouchijuku. One of the highlights is Osorezan, in Aomori, one of Japan’s three most sacred places. 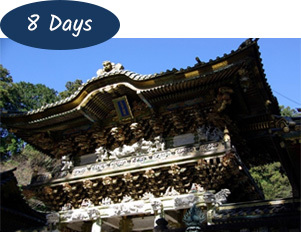 You may experience an eerie atmosphere as you stroll around this temple and its grounds, surrounded by volcanic activity and the air thick with sulphur. This area in the Shimokita Peninsula is only open from April to October.